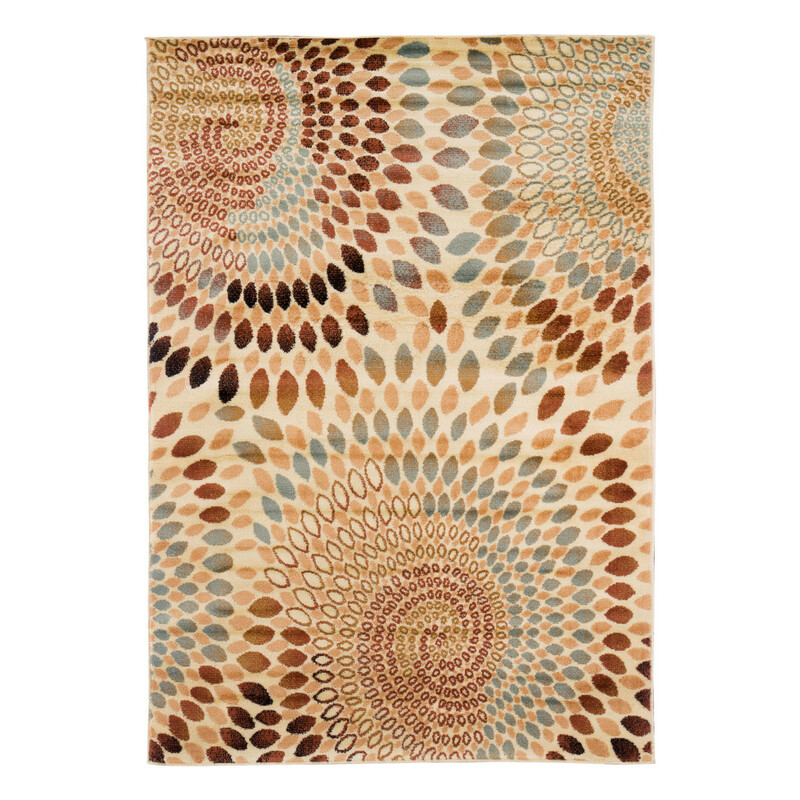 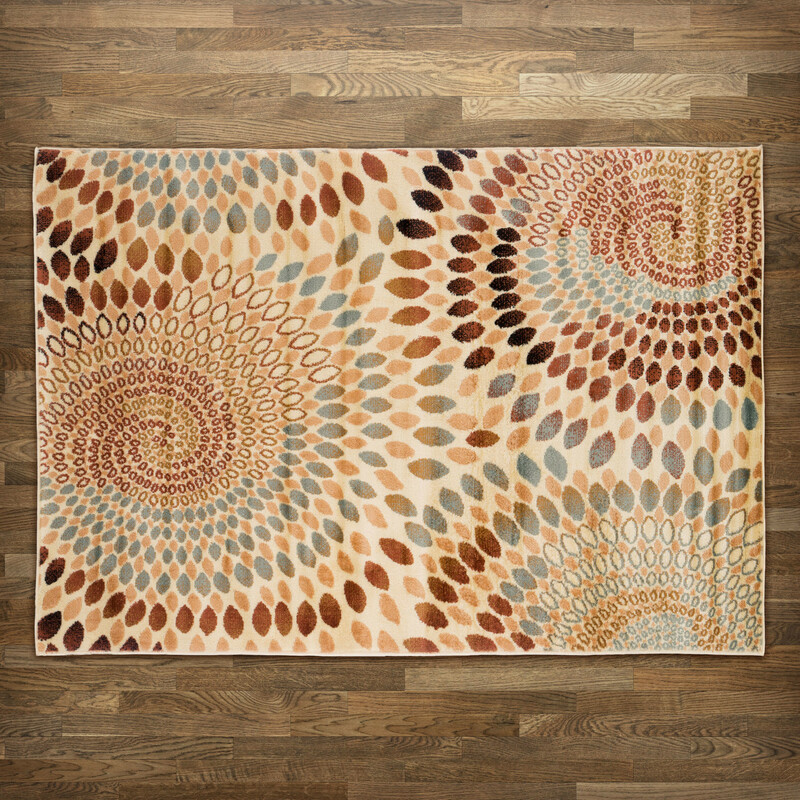 Add some intrigue to your floors with this rug’s multicolored petal pattern. 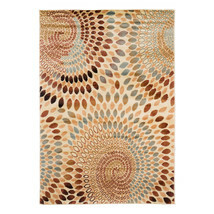 Blues and browns pop against an ivory background, while graceful curves create a mesmerizing quality. 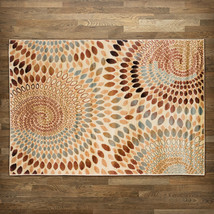 This rug is 5' x 7 '.